But bettors have been more focused on Alabama winning the whole thing rather than just busting into the playoff. On Monday afternoon, BetOnline was actually offering Alabama at +1200 odds to win the National Championship, odds that did not last very long. Most savvy bettors jumped on that quickly and drove the odds down to Alabama +600. That still wasn’t enough, and during the week the entire market has had to keep dropping their odds on Bama. The Tide are now down to +360 at BetOnline, +345 at Bookmaker and +325 at 5Dimes, best odds of any team. 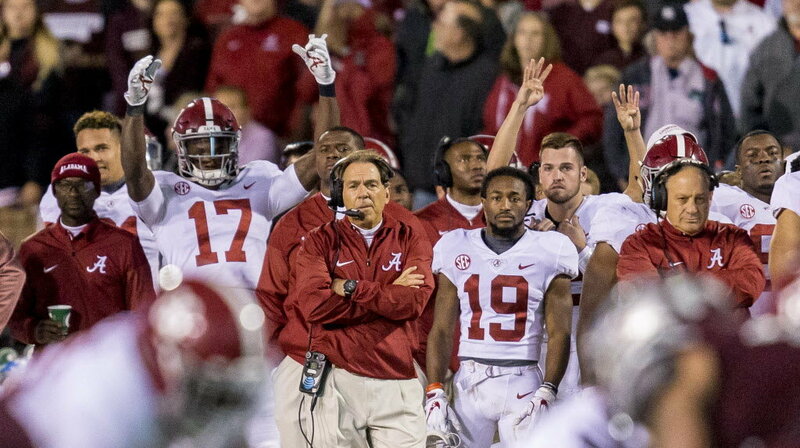 Before the season, sportsbooks around the market took considerable action on Alabama to win the title, including William Hill, CG Technology and BetOnline. A lot of sharp bettors like to bet the Tide, and they should– they’d still be favored against any other team in the nation on a neutral venue. Rather than taking Alabama as an odds-on favorite to make the playoff, bettors are bypassing that option for the better value of winning the title. In response, sportsbooks know that they have a lot of sharp liability on Alabama and have to adjust odds accordingly. While the Tide are surely not a lock to make the playoff, they’d be favorites to win it all once they’re in. At this point bettors have sucked out nearly all the value available on the Tide. If you still like Alabama to win the title, shop around the market for the best price.